JACKSON, CA- Jackson Rancheria Casino Resort and the Amador County Chamber of Commerce welcome you to join us for the 10th Annual Margaret Dalton Golden Acorn Awards Dinner on Friday, March 2, 2018. Dinner will be held in the Grand Oak Ballroom and Jackson Rancheria Casino Resort in honor of the late Dennis Dalton. 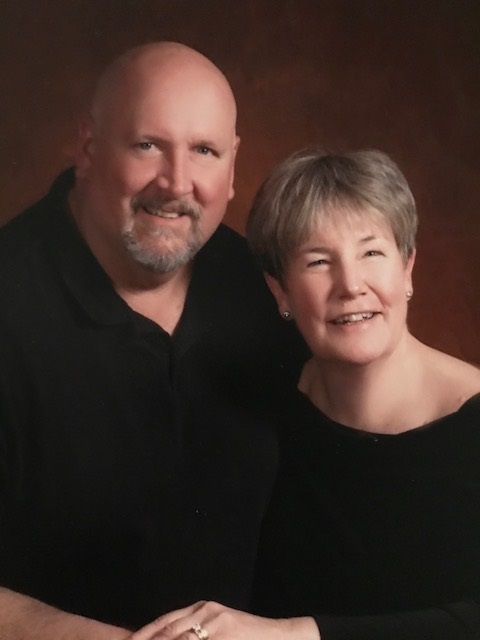 The 2018 Golden Acorn Awards will be presented to Karl and Patty Knobelauch. Through their years of volunteering, notable dedication, and the love they share for Amador County; they have undoubtedly earned this cherished award. The doors open at 6:00 p.m. with a no-host bar, a plated dinner will be served at 7:00 p.m., and awards to follow. In 1979, Margaret Dalton was elected Tribal Chairperson of the Jackson Rancheria Band of Miwuk Indians, a position she held uncontested for 30 years. She had a dream to help the people of her Tribe build a better life. Through determination and hard work the Jackson Rancheria Band of Miwuk Indians achieved self-reliance. But her compassion to help people didn’t stop there. Margaret was an advocate for helping anyone in need. Her immeasurable contributions and tireless devotion to charities and organizations in Amador County inspired the Chamber of Commerce to create the estimable Margaret Dalton Golden Nugget, now known as the Margaret Dalton Golden Acorn. This award honors and recognizes our unsung heroes, like Margaret Dalton, and gives them the thanks they deserve for their generosity. Tickets are on sale now, starting at $50 per person or $500 for a table of ten people, through Monday, February 19th, 2018. You can RSVP to the Amador County Chamber of Commerce at (209) 223 -0350 or at amadorchamber.com. 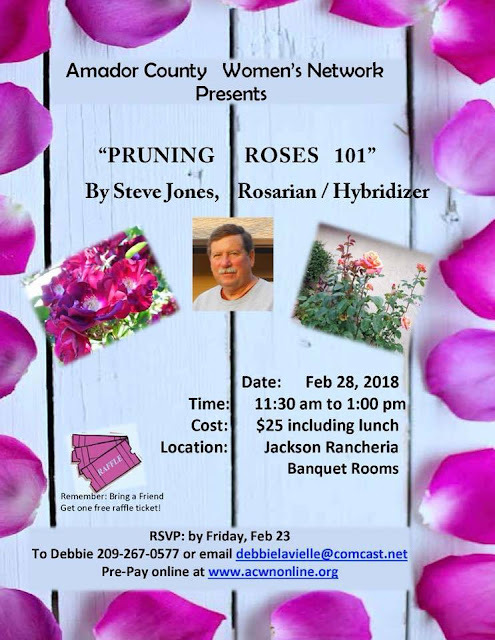 Spring fever is approaching and what better way to prepare for it than learning the art of “Pruning Roses” with guest speaker Steve Jones. Lunch menu choice courtesy of the Jackson Rancheria. Network and promote your business at the next ACWN meeting on Wednesday, February 28th @11:30am.